The Printing Works | Rugby's leading design and print specialist! 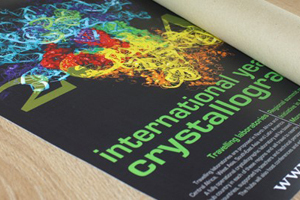 High quality print at competitive prices, delivered on time – every time! Have you got something that needs to be said? Why not get the message out there with a high quality leaflets or flyers from The Printing Works? Are you an Architect with a tight deadline or someone building an extension for your home? We have a wide range of offers for both plan prints and copies. Whether black and white or full colour, this is often the most efficient method of binding your pages. Best off, you don’t have to sacrifice print quality to find cheap booklet printing. Are you looking to advertise your big event, promote your newest product or get a poster printed for your bedroom wall? Whatever your needs we’re here to help. The Printing Works have been proudly serving our customers since 1995. We’re your local experts in design and print so let’s work together to help your marketing budget go further. Do you need a hand with your design or artwork? Are you looking for a bespoke item? Whatever your needs we’re confident we can help – just give us a call on 01788 543700. From creative design to superb quality print at fantastic prices. We pride ourselves on customer service and making sure you have a great experience when working with us. 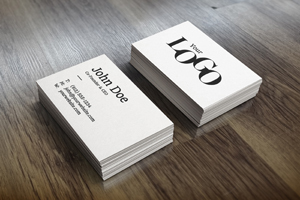 A well-designed business card can be a great conversation starter and your chance to make that all important lasting impression! Great Value Raffle Tickets. With prices starting from just £25+VAT for 250 tickets. It’s a great way to spend less and raise more! Perfect for when you need more than one copy of an order form, delivery note or invoice. 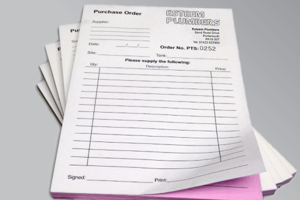 We have a wide range of duplicate and triplicate NCR available as individual pads or sets. 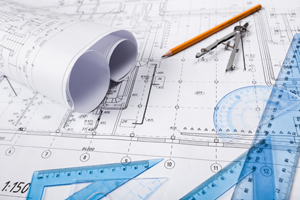 Are you an Architect with a tight deadline or someone building an extension for your home? Order online & your drawings will be delivered to you on the very next working day (if ordered by 1pm). Your vehicle is vital to your business! 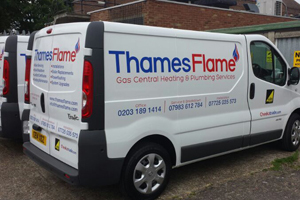 A well signed vehicle can provide a great first impression to potential clients and help you arract more business! If you need to get across a lot of information but want to keep things to a budget, saddle stitched booklets the way to go. Call us today to discuss your requirements on 01788 543700. Are you looking to advertise your big event, promote your newest product or get a poster printed for your bedroom wall, whatever you’re needs we’re here to help and have a selection if materials to choose from. Stag & Hen nights, Parties, Corporate Clothing and Special Events! With our customised t-shirt’s & hoodies you’ll have something to remember it by! Coming soon – please call for details. Call our expert team on 01788 543700 today! We’re here and ready to help. ©2019 The Printing Works Ltd. All Right Reserved.